After the death of Aluf [Br. Gen.] Benny Peled, who was the commander of the Israeli airforce during the Yom Kippur War, many praises were said in his memory. About his having been a daring, courageous warrior; about his enormous contribution to restructuring the air force and re-establishing it after the Yom-Kippur War; about his leadership, meticulousness, and thoroughness; about the criticism he expressed against the Israeli government in the areas of taking responsibility, learning from mistakes, and proper management. Mentioned here and there were things he said during and after his military career about the character of the State of Israel. These were presented as amusing items. He requested that a bell be rung upon his death and an announcement be made that there had just died a man who held that the Jews attempted, to establish a State, but all that they had been able to accomplish was another Jewish Kehilla [organized community like in GHETTO]. During his lifetime, Peled often made similar pronouncements. . These were not slips of the tongue. He was a serious person with a thought-out belief system, which, in effect, was identical to the point of view known as “Canaanite”. 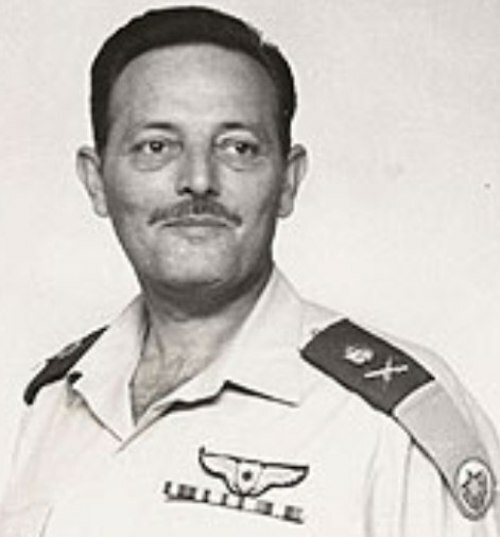 During a televised interview on the occasion of Israel’s Jubilee he stated that he was prepared that the very next day there should be an Arab commander of the air force, or an Arab Chief-of-Staff, or even an Arab prime minister. This would be conditional upon their taking an oath of loyalty to the State and be prepared to die for it. An added condition would be that the state would be secular and democratic, based on Hebrew law. Not the religious Hebrew law, he emphasized, but the Hebrew law thast is not tied to Jewish religion. The roots of the movement can be traced back to the early forties , with the emergence of an ideological-political trend that called for complete separation between Jewish history and its spiritual and cultural heritage and that of the “Hebrew Nation” that was being shaped in the Land of Israel. The movement organized itself in order to establish a “Hebrew” national entity and as a “territorial, cultural society open to all with no distinction of race or belief”. The major spokesmen of the muvement were the poets Yonatan Ratosh and AhAron Amir, the author Binyamin Tammuz, the journalist Amos Kenan, and the linguist Uzi Ornan. The movement negated the Jewish religion, its values and commandments; sharply criticized ghetto-like Jewry and claimed that “Hebrew” history had been distorted in the period of the Second Temple, when the Jewish People was transformed from a nation to a religious community, a process which was completed with the Bar Kokhba Rebellion and brought about the separation of the people from the land. The movement sought to break the bond between the Hebrew nation and the Jewish People and to establish a state where all its inhabitants – Arabs, Moslems, Christians, Druse, Bedouin, Cherkassians – would become one nation. The movement regarded Israeli territory as a natural and integral part of the land of Euphrates which, to their minds, was the “Classic Land of the Hebrews”, stretching from the border of Egypt to the Tigris [River]. The new Hebrew Nation was going to wage war in the future with repressive Pan-Arabism. The victory of the Hebrew State and its very existence were dependent on those who would stand at the forefront of all striving for independence and progress in all of the land of Euphrates, and by being in the vanguard as a nucleus of its rebirth on a national, secular basis –not religious nor communal – but on the classic Hebrew model of antiquity which is shared by all the inhabitants of the land and its peoples, before the rise of Judaism and the other religions. “Arabism” according to the movement’s view was foisted upon the peoples of the “Land of the Euphrates”, just as Judaism was foisted upon the Hebrews, and both should be freed.. The movement based its claim on the image of the “Classic” Hebrew past, as described by the scholar Adiya Gurewitz (A. G. Choron). His meeting with the poet Yonatan Ratosh in 1938 was considered the catalyst in the founding of the movement. This picture of the past (seemingly based on speculative, scientific reasoning) brought the movement to its “turn towards the mythical pre-Israelite and Canaanite foundations”, which in their view was the origin of the culture of the land of Canaan, a culture common to the Israelites and the rest of the Canaanite peoples. The Canaanite myth of the movement did take hold except for limited intellectual circles. The notion that a new nation was born here fell on fertile soil, which Zionism itself had nurtured. The renewal of the Yishuv [prestate Jewish population] was in the throes of the “Hebrew Revolution” in the social and cultural spheres. All of the secular Zionist movements championed the idea that they were to strive to create “a new Jewish People and a new Jewish Man in the Land of Israel. Hebraism was intended to distinguish between the new Israeli and his institutions and the Galut [Diaspora] Jew. This is how they spoke then of the Hebrew Man, the Hebrew Yishuv, Hebrew labor, the first Hebrew city, the Hebrew University, the Hebrew Gymnasia [high school], and the Hebrew writer’s union. There can be no doubt that the roots of Canaanism stem from the basic principles of the modern Jewish national outlook as expressed in secular Zionism. Just as Zionism sought out Hebraism in order to redefine society in the Land of Israel as a renaissance of a bygone national entity. Like Zionism, the belief was that a people can change its character and substance. Jacob Katz, the historian, says that “the Canaanite ideology as a doctrine, can be seen as the ultimate extension of the Zionist idea to its elastic limit”. Since Canaanism based itself on the image of the ancient past it also painted a different image of the future. In this manner the Canaanite idea changed from a stage in the development of the Zionist idea into a radical anti-Zionist ideology. I first learned of the “Canaanite Movement and its ideas in the early fifties. A schoolmate, gave me an issue of the movement’s magazine “Aleph”. I remember clearly the title of the issue which read: “Stop Unrestricted Immigration”, intending the mass Aliyah of the first years of the State. Reading this magazine aroused a stormy emotion, difficult to explain today. During that period I also read the “Sulam” a right wing magazine edited by Dr. Yisrael Eldad, who preached ideas completely contrary to those preached by “Aleph”. I, with the uncritical eyes of a 14 year old, however, did not sense the contradiction and this calls for an explanation. In order to understand the emotional flare-up that was aroused by “Aleph” – within me and many other young readers – a portrayal of the spirit of that generation is necessary. This was a period in which a cultural and intellectual gap was produced between the generation of those born in the Land and their parents. The parental generation was the Diaspora generation, one that spoke Yiddish (or Polish, Romanian, Hungarian, Arabic). They were the scorned generation of people “who went like sheep to the slaughter”. They were a generation of bowed, fair-skinned “Sabonim”[lit. soap-bars, a pejorative reference to holocaust survivors who escaped the alleged Nazi practice of making soap from human fat], who worked at demeaning occupations (“store-keepers”, “merchants”). The generation of the native-born was (in its self-image) a tanned, sturdy generation that knew every trail in the Land, from Dan to Elat. They were the generation of fighters in the underground and the warriors of the War of Independence, those who do all the ground work on behalf of others. that established the State. Moreover, the generation of native-born were those whose Hebrew was their natural mother-tongue, and for the most part the only one they spoke. This generation was the outstanding product of the Zionist revolution and its educational system- the schools and youth movements. The teachers of that generation seemingly knew perfect Hebrew. They were more expert than we in all the source-material – from the Bible, Mishna, Midrahim, Rishonim and Achronim, to the luminaries of the new Hebrew literature. Their Hebrew, however, was not their natural language. They had learned it from books through mighty efforts. Yet, they did not dream, nor curse, nor count in Hebrew, but used the languages of their or their parents’ countries of origin. They tortured us with pedantic purisms of the language that turned our lives into a hell. . And in order to pass the exams we were required to learn by heart the verb and noun declensions. I remember the tremendous impression made by the thin grammar text written by Uzi Ornan, one of the leaders and foremost proponents of the Canaanites. The book, “Dikduk HaPeh VeHaOzen” [The Oral and Aural Grammar] , showed us suddenly that he whose natural tongue is Hebrew does not require all the rigid rules formulated in the periods when it was a “dead” language. All you need is listen to the sounds coming out of your mouth.. But more impressive than this grammar book were the new writers in the new Hebrew. There was Binyamin Tammuz, Amos Kenan, S. Yizhar and many others. Last but not least was Uri Avnery’s “Ha’Olam HaZeh” weekly (and following him was “Yediot Achronot” daily) that wrote the spoken language and, by their writing, influenced speech patterns as well. The Canaanites came into this reality and said the ‘people is the language and the language is the people’. This was a self-evident truth that required no demonstration. The movement was not content only with the language aspect of its reach, but suggested a new perception of space and history. Our country was not only the State of Israel but the entire region of the Fertile Crescent. Our ancestors were not only Abraham, Isaac, and Jacob, but all the ancient inhabitants of the land – the Israelites, the Canaanites, the Phoenicians – all belong to the Hebrew nation. We Hebrews, then, are the descendants of the great Hebrew people who invented the alphabet, that built mighty fleets, and created an empire of the whole Mediterranean basin. We brought culture to Europe, and the elephants of our great commander Hannibal, the Carthaginian, crossed the Alps and threatened to bring down the Roman Empire. This approach, which sounds like a myth totally divorced from reality, was well-received in the milieu of that generation. Secular-Zionist education prepared the ground for an acceptance of this world-view. What then did this education say to the young? It said that we were erasing 1800 years of Jewish Diaspora history and returning to our magnificent past – to the kingdoms of David and Solomon, the Maccabean heroes, to Elazar Ben Ya’ir the Zealot rebel against Rome who led the warriors at Masada. This was a generation that did not want to learn Jewish Diaspora history, since there was no such thing as Jewish history (“since it’s all only evil decrees and persecutions”). 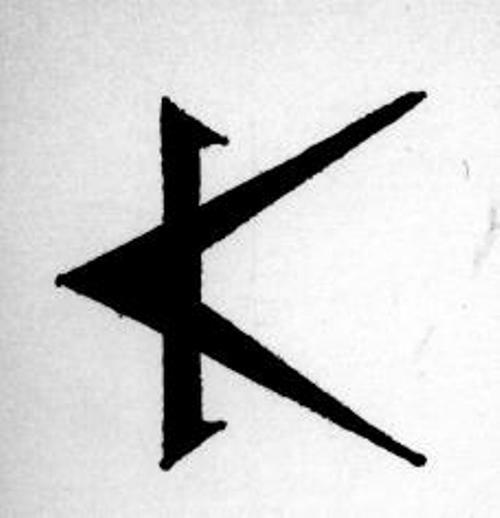 What Is the base of Our Hebrew? Quite a few people have already pointed out that the historical grounds for the concept are shaky. Israel and the Canaanite nations were not one people, not from the cultural nor religious aspect, and it is a near certainty that they did not speak the same language. What kind of Hebrew do we speak? It is the Hebrew that came to us from the Bible and Apocrypha, from the Dead Sea Scrolls, from the Cairo Genizah treasures, from the Mishnah and the Midrashim, from the liturgical poets of the Land of Israel, from Maimonides, Rashi, and the Responsa literature, and the tens of thousands of books written in Hebrew over the centuries. Over and above them all was the Siddur [Daily prayer book]. Zionism achieved its great accomplishment by stimulating spoken Hebrew, not by reviving the Hebrew language. It was not actually a renewal of spoken Hebrew. Jews had always read and written Hebrew. Along with the wonderful Jewish languages they developed in the Diasporas, they also cultivated spoken Hebrew. A Jew from Izmir who spoke Ladino and a Jew from the European lands who spoke Yiddish, when they met in Jerusalem, could communicate with each other in Hebrew. This is our one and only Hebrew, the language of the Jewish People, and the only people in the world speaking that language. Some years after being exposed to the Canaanite idea, I became well-acquainted with one of its advocates. His name was Yosef Ve’adia. Short, balding, and dark-skinned, he was some forty years older than I. I was then writing as “The Young Reporter” in the “Cherut LaNo’ar” newspaper, and he was the linguistic editor and in charge of artistic subjects. He fascinated me with his great knowledge and his precise speech. I was already more discriminative with regards to Canaanites and I asked him for an explanation of this concept, which severs the Hebrew People from the Jewish People. Ve’adia told me that a short time after he was born his mother abandoned him and he never saw her again. He said to me: I checked and found that a large number of the “Canaanites” were people who had a personal break with their parents. This break enabled them to make the break between Hebraism and Judaism. This perhaps explains what the poet Yonatan Ratosh said in 1944: “It doesn’t happen overnight that someone can clear out his mind from the intoxicating, ancient Jewish poison that trickles day after day and year after year”. About Judaism he added that it is “a sick culture, a culture of a society of immigrants, a spiritual leprosy”. Porat goes on to say ”The adoption of the Hebrew national identity that omits the entire period of the hated Diaspora, was the perfect, personal, unmatched, and winning solution. Since they couldn’t easily become Frenchmen, they didn’t want to be Diaspora Jews either. This is why they chose to become Hebrews”…One of the members of the group once said, that thanks to the Canaanite ideology “I now hear the bells of Hannibal’s elephants instead of the cries of the Rabbis”. The mystery is solved. The Hebrew-Canaanite ideology is actually an outstanding Jewish phenomenon, i.e., our self-hate and desire to assimilate. From this viewpoint one can say that the Hebrew-Canaanite idea is not dead. It continues to exist in the very midst of the State of Israel. an interesting and revealing article which makes things clearer I didn’t understand fully in the past about Israels secular zionists and, especially, the socialist kibbuz movement. Obvious, the idea of the “New Hebrew” is as strange and a dead and as the “New Arian” of the 3rd Reich or the “New Human” of the communist era. Nevertheless, the idea of a “state of all its citizens” regardless of ethnic identity is a vibrating one, opening a solution to the conflict with the Arabs in Israel. The concept of a pure “Jewish state” is deemed to nowhere, as one common joke says: Take two Jews, and you have a dispute…:-) The state (everywhere in the world) shold not meddle in ethnic and religious affairs, but defend a common system of values and maintain order and opportunities for development and life to all of its citizens. Its foundations should be integrative for the whole history of the land and its inhabitants, both the majority nation and the minorities which have been there for centuries.